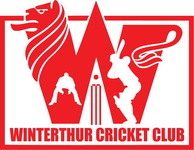 Winterthur Cricket Club have lined up some tough opposition ahead of the start of the 2019 season in three pre-season warm-up matches against Berne, Nomads & Olten. Preparations for the 2019 have already moved outside, taking advantage of the mild weather conditions. These matches are in addition to some fitness sessions & mid-week net sessions. For further information about the WCC and the pre-season schedule, please contact the Mohamed Sameel.